Spotify released its second-quarter earnings from 2018, with the streaming music service revealing it now has 83 million paid subscribers amount to a total of 180 million daily active users. The company’s previous earnings report came out in May and claimed that it had 75 million paid users, and 170 million active users. In Spotify’s most recent earnings report the company says that its daily active user base has grown 30 percent year-over-year. Additionally Spotify states that its revenue is up 26 percent year-over-year. The company’s overall revenue is €1.27 billion EUR ($1.93 billion CAD), which is a 26 percent increase year-over-year. Out of this, the Spotify spent €419 million EUR ($638 million CAD) on its operating costs. Spotify makes most of its money from selling premium subscriptions. The company made €1.1 billion EUR ($1.6 billion CAD) from its premium subscriptions and only €123 million EUR ($187 million CAD) from its ad revenue. Even though Spotify is still growing at a healthy rate, the company is still operating at a loss. In the Q2 earnings report the company’s operating loss is €90 million EUR and its net loss amount is €394 million EUR ($600 million CAD). 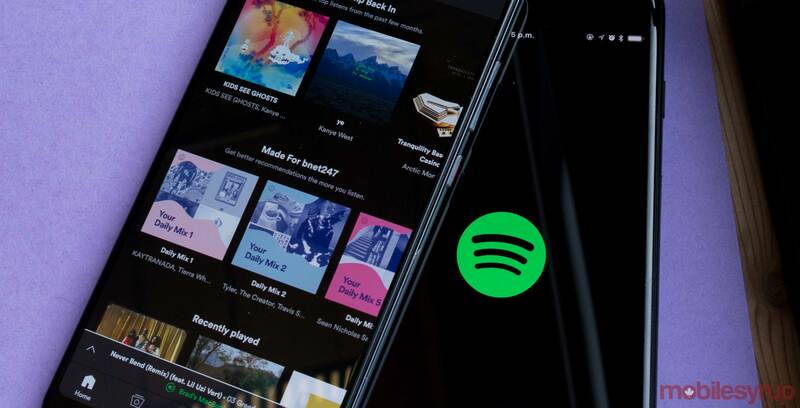 It’s exciting that Spotify is still growing given the increased competition in the market since Apple Music, Google Play Music and the new YouTube Music Premium are all vying for the same customers. It’s also important that Spotify remains one of the biggest companies in streaming music since it’s one of the few that is independent from Apple and Google’s walled garden-type ecosystems. Apple Music is Spotify’s main rival in the space and its most recent statistics state that it has 40 million subscribers. A recent Wall Street Journal article reports that Apple’s service is on track to surpass Spotify’s subscriber numbers by the end of the year.